Courts • Fired Davis County prosecutor is now accused of making 'misstatements' to high court justices. Tribune file photo Scott Matheson Courthouse. When a prosecutor conceals evidence during a trial, what is the appropriate punishment? It is a question the Utah Supreme Court is pondering in the case of a former Davis County prosecutor. Whatever the ruling, it will break new ground in attorney-discipline issues  it being the first time the justices have weighed in on a case in which a prosecutor is accused of violating his or her special duties. All lawyers must follow a number of judicial rules of professional conduct, which detail their duties to their clients and the court. Rule 3.8 outlines the "special responsibilities" of prosecutors in connection with their ability to file charges against members of the public. Those responsibilities include not prosecuting unwarranted charges and making sure clients receive an opportunity to get their own lawyer. They also must disclose any facts favorable to the defendant  which is the part of the rule that former Deputy Davis County Attorney Tyler Larsen is accused of violating. Larsen has been appealing a seven-month suspension of his law license. He was fired from his job as a Davis County prosecutor after alleged misconduct during a 2010 aggravated robbery trial in which he showed the robbery victims a photo of the defendant, but did not show them any other photos as part of a proper photo lineup. This was not disclosed to the defendant&apos;s attorney, who asked for  and was granted  a mistrial when one victim testified that Larsen had shown her the single photo. After ruling in July 2014 that Larsen "intentionally concealed" his actions, 3rd District Judge Andrew Stone ordered a six-month suspension. The judge also ruled that another incident a year earlier, in which Larsen "made a false statement" to a judge about payments made by a defendant to a probation officer, warranted another 30-day suspension. The judge ordered the two sanctions to run consecutive to one another. Larsen argued during December oral arguments before the Utah Supreme Court that evidence in the case did not support a seven-month suspension. "A consecutive sentence seems punitive instead of reformatory or rehabilitative," Larsen argued. "… It is an improper sanction." Discipline • During the arguments, some of the justices seemed perplexed as to a suitable penalty, given there had been no previous cases before them of an attorney violating Rule 3.8. "It&apos;s hard for me to know what the appropriate sanction is without having more data as to how this may have been handled in other cases," said Justice Thomas Lee, adding that it is important that the high court have consistency in its rulings. Both Larsen and the Utah Bar&apos;s Office of Professional Conduct [OPC] attorney, Todd Wahlquist, told the justices that they were unaware of any other allegations of this kind before the state&apos;s high court. Wahlquist said during the December arguments that he could not recall a time in the past four years when a prosecutor had even been screened for potential discipline by OPC. Larsen and Wahlquist both argued that the seven-month suspension was inappropriate. But while Larsen said it was too lengthy, Wahlquist argued that Larsen should have received the maximum penalty for violating Rule 3.8, which is a three-year suspension. He also said that it was improper for Stone to dole out two separate sanctions for the two violations instead of a single penalty. 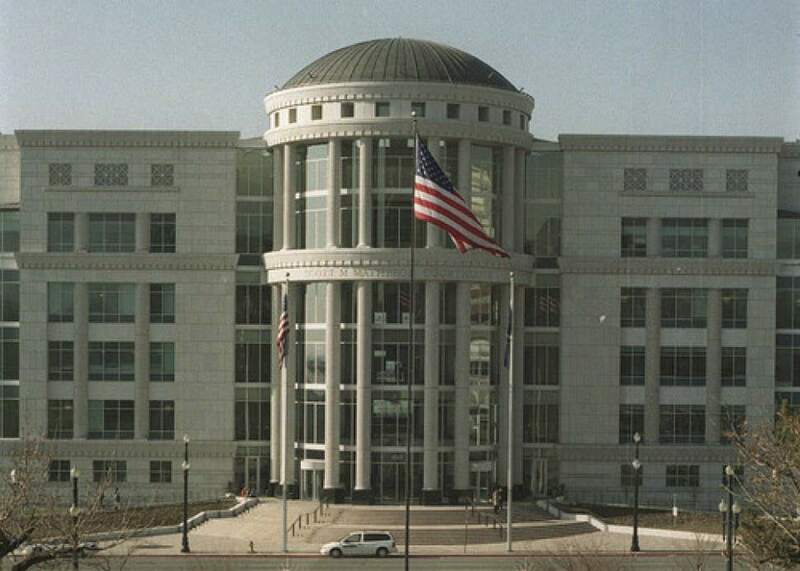 And yet another party  the Utah Association of Criminal Defense Lawyers  weighed in on the case. In an amicus brief, UACDL Executive Director Kent Hart said the "presumptive sanction" should not be three years, but disbarment. Hart told The Salt Lake Tribune that UACDL is not specifically asking for Larsen to be disbarred, but is telling the justices that the sanctioning rules "are screwed up." The concern, he said, is unfair presumed sanctions. Certain violations, such as when a defense attorney misappropriates a client&apos;s funds, are deemed worthy of disbarment. But even then the lawyer may not actually be disbarred. A judge will weigh mitigating and aggravating circumstances before deciding the most appropriate sanction. But when a prosecutor is accused of lying to secure a conviction that could land a defendant in prison, possibly for life, the presumptive sanction is only a three-year suspension. "We are concerned that the Bar&apos;s OPC and the Supreme Court&apos;s priorities are misplaced," Hart said. "What kind of message does it communicate to the public that the State Bar values money over a person&apos;s liberty?" Both Larsen and officials with the Bar declined to comment, saying they could not speak publicly about a case still being considered by the Utah Supreme Court. No ruling yet • The high court took the case under advisement nearly five months ago and has yet to release a ruling. Last month, UACDL weighed in on the case again, in a letter filed with the court informing the justices that, during the December oral arguments, Larsen gave them an incorrect account of what happened during the underlying 2010 robbery trial. Hart pointed to an exchange between Larsen and Justice Christine Durham in which Larsen told the jurist that his co-counsel also knew that he showed a single photo to the witness before trial. "He had an obligation to stand up at trial and disclose, as well, if that&apos;s the case," Durham said. "Well, fortunately for him, the statute of limitations has run out," Larsen replied. But Larsen&apos;s fellow prosecutor, Jason Nelson, was not present at the trial that day, according to a transcript of Nelson&apos;s testimony during Larsen&apos;s district court disciplinary trial. He was ill, he testified, and when he called Larsen to tell him he wouldn&apos;t make it to work, Larsen showed no concern about questioning the day&apos;s witnesses without Nelson there. "Mr. Larsen told me that he hoped I felt better, that it would be OK, and that was the end of our conversation," Nelson testified. Since Larsen&apos;s December oral arguments, another former Davis County prosecutor has been sanctioned. Matthew T. Johnson was given a public reprimand after a defense attorney filed a complaint accusing him of lying to the judge during an aggravated-assault trial to gain an unfair advantage. A judge declared a mistrial during the November 2012 trial, according to court records, after Johnson tried to get a witness to acknowledge hearing a key statement made by the defendant, which was actually heard by someone else who had not been called to testify. Johnson&apos;s attorney has said that he did not intentionally lie, but that it was an attribution mistake made because he was not adequately prepared. Besides Larsen and Johnson, only one other prosecutor has had any disciplinary action filed against him in district court in the past five years, according to a Tribune analysis of the more than 100 attorney-discipline files in the court system during that period. Former North Salt Lake City Attorney D. Michael Nielsen was on probation with the Bar for three years beginning in 2011 after he bought cocaine from an undercover police agent. He pleaded guilty to third-degree felony attempted possession of a controlled substance, but that charge was dismissed after he successfully completed a drug court program.